Mary Sumner was born Mary Elizabeth Heywood on December 31st 1828 in Swinton, near Manchester. Her family moved to Herefordshire in 1832 when they bought the estate of Hope End near Ledbury from the Barretts, whose daughter Elizabeth would become the famous poetess Elizabeth Barrett Browning. Her father, Thomas Heywood was a banker and historian. Her mother was a woman of faith, charm and sympathy, qualities that Mary inherited. Mrs Heywood held “mothers’ meetings” at Hope End. These may have been some of the inspiration for Mary’s later work. Mary was educated at home. She learnt to speak three foreign languages, and to sing well. Whilst she was finishing her musical education in Rome she met a young man, George Sumner, the youngest son of Charles Richard Sumner, the Bishop of Winchester. George’s father, like Mary’s, was an historian, being the historiographer to King George IV. His uncle was later the Archbishop of Canterbury and his father’s cousin was William Wilberforce. Mary and George fell in love and were married at St James, Colwall in July 26th 1848 when he was twenty-four, just 18 months after his ordination. Mary moved to Old Alresford with her husband in 1851 together with their two baby girls Margaret and Louise. 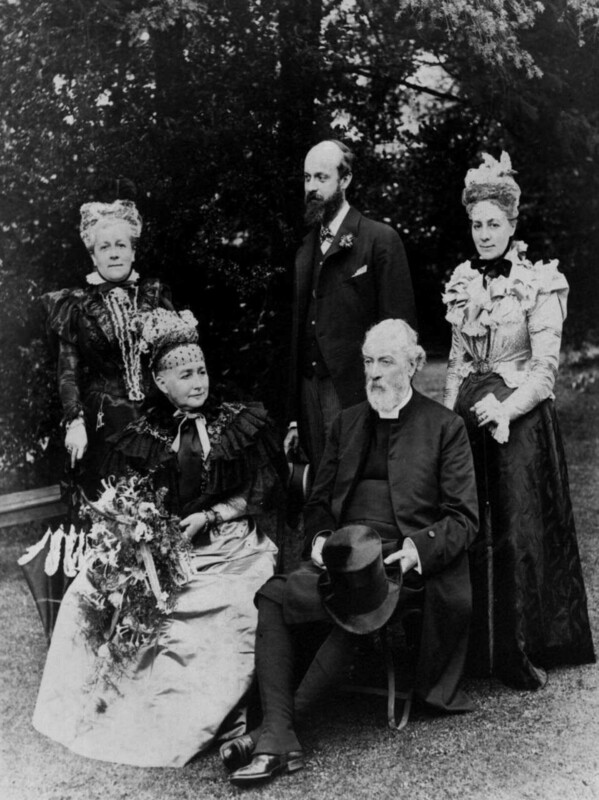 Later the family was added to with the birth of a boy, Heywood. In 1876, Mary, concerned to strengthen and support Christian family life, called a meeting at the Rectory, to which she invited not only those of her own social class but all the village mothers, something unusual in itself for that era. On this occasion, she became very nervous, and her husband had to stand in for her, inviting the ladies back the following week. This was the inaugural meeting of the Mothers’ Union. Write Blessed are the dead which died in the Lord from henceforth. From the spot you can see the house (No. 1 The Close) where she and her family lived their later years. History has it that she had the two upstairs windows ‘lowered’ so that she could enjoy the view of the gardens. There are still some designs on the kitchen walls which were painted by their son Heywood who was an artist in the ‘Arts and Crafts’ movement. Each year on the anniversary of her death, members of the Mothers’ Union in Winchester Diocese place flowers on the grave on behalf of the 4 million members worldwide. 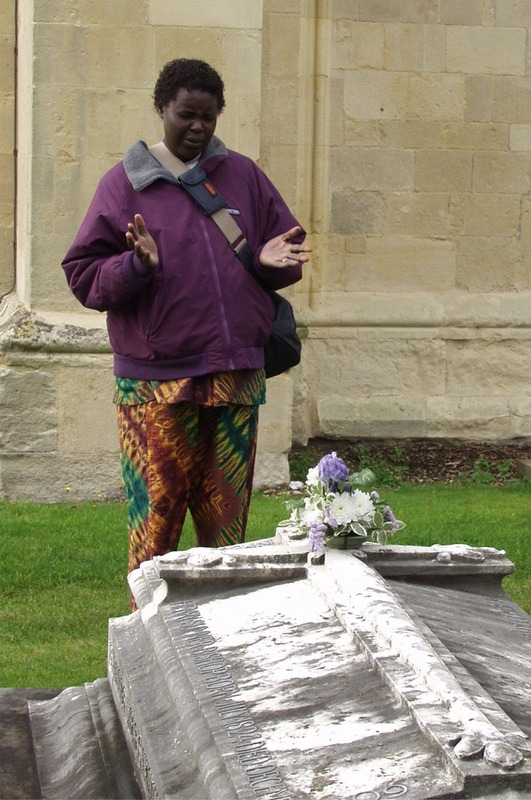 When overseas members visit they are thrilled and moved to have the opportunity to see evidence of Mary Sumner’s life and work at Old Alresford Place and to give thanks at her grave for the impact she and the Mothers’ Union have had on their lives and ours.